If you purchased a brick prior to January 31, 2019, please come view this successful project located right outside the Press box and Merchandise Shack during one of our 2019 summer home games! We are now opening sales for future installations (date of install will be determined by the number of bricks sold as we will install after we have sufficient number to fill the ‘block’ of space set aside for this purpose). 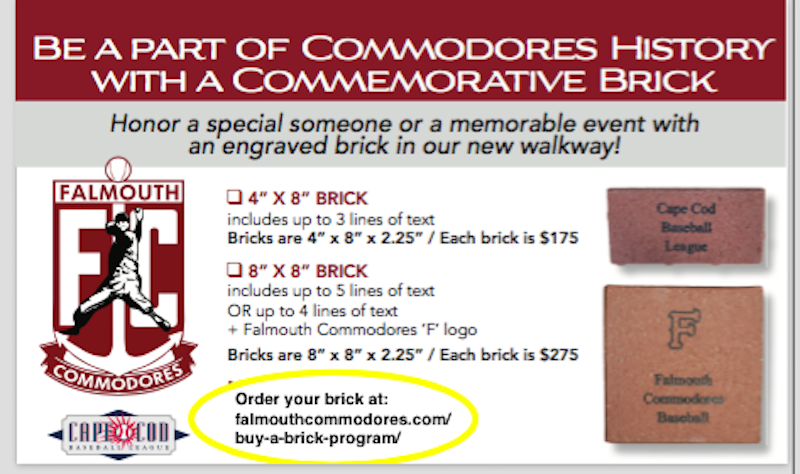 Click here to order your brick for the next installation (date TBD)!